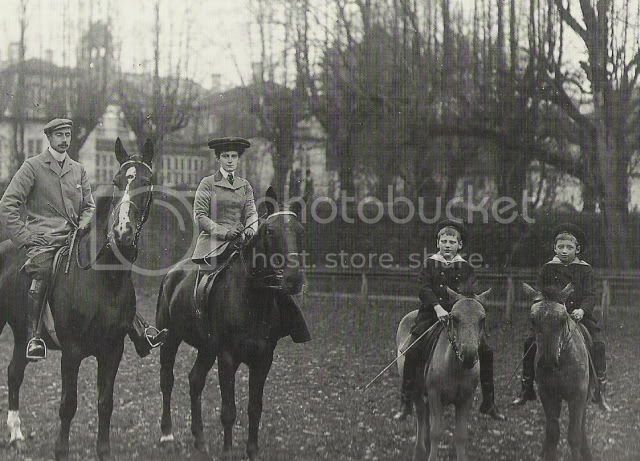 The hole family on horse-back. And Queen Alexandrine late in life. Great photos Kmerov! I love seeing ones of Alexandrine and her Schwerin family. I think in the last photo of Alexandrine, you can see a portrait of either EVII or Waldemar and one of Queen Maud (full-length). Thanks, Gdella and Svetabel. Gdella, the picture is of Valdemar. 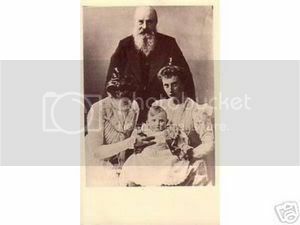 Christian X was known to be a very hard and stiff man, but he was also a very emotionel man, and he loved his grand children. Two pictures of Christian as grand dad. 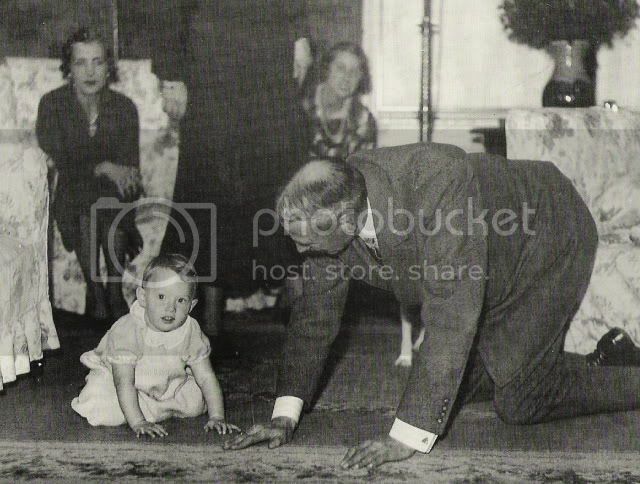 With his oldest grandchild, Princess Elisabeth, daughter of Prince Knud and Princess Caroline Mathilde. Queen Alexandrine was very popular, eventhough she was German. Once during WWII her sister-in law, Princess Helena (nee Glücksborg)said, now we Germans must stick together. Queen Alexandrine pointed to the door, and said, I'm the Queen of Denmark. Helen was a fervent supporter of the Nazis much to the consternation of her husband Prince Harald and their two sons. It caused huge embarrassment to the royal family and caused her to get booted out of Denmark by Christian X. She was only allowed to return when her husband was gravely ill.
She was an ardent Nazi supporter along with her brothers-in-law Charles Edward, Duke of Coburg (husband of her sister Victoria Adelheid) and Prince August Wilhelm of Prussia (husband of her sister Alexandra Victoria; son of Kaiser Wilhelm II). Christian X had a difficult relationship with MF after she moved to Denmark, but the Danish Royal family did a lot to help the Romanovs during the revolution. 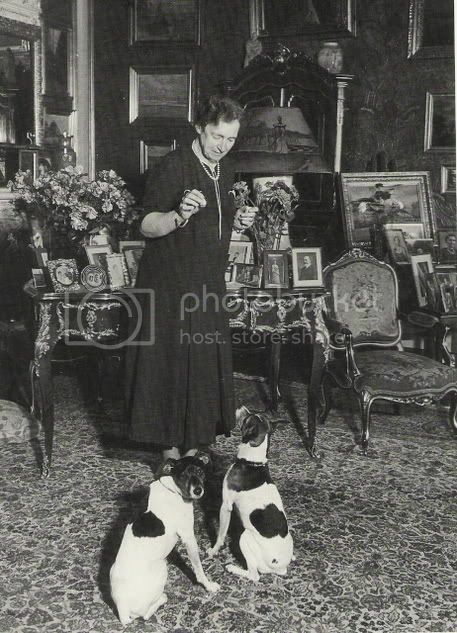 Kmerov, I was reading the wonderful bio about Minnie writted by Coryne Hall the last days and I am certain that the danish royal family tried to be a real support to the Dowager Empress. 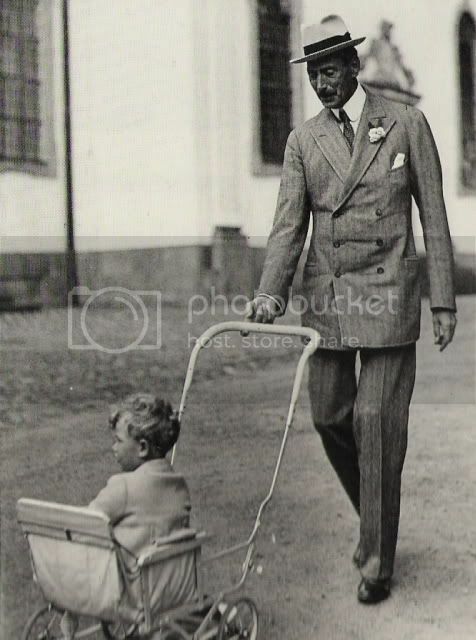 I think that Erik Scavenius, the Foreign Minister of Danish Government, and his cousin Harald Scavenius, who was the Denmark´s Minister to Petrograd since 1912, worked very hard in this rough times to ensure the safety of Minnie. Members of the Danish Red Cross delegation as Dr Carl Kreb made a great effort to help Minnie, and the same did employees of the danish Transatlantic Company. Ingeborg Larsen, sister of one employee of TC, arrived at Harax one time with letters from the Danish Royal Family hidden into her clothes. So, my impression is that King Christian X was really concerned about his aunt Minnie and really wanted to take her away from the Crimea, where things easily could go from bad to worse. But later, when Minnie was in the danish court, he could not be patient with the old lady...and it is a pity. I think Queen Alexandrine suffered a lot, due the behaviour of her husband to the old auntie exiled from a lost empire. 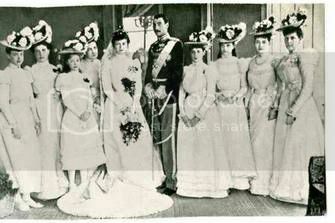 According to Romanov Diary (Greek Minny's memoirs) she appealed to the Danish and British courts. Since she was in England (having been there throughout the war) and personally gave Queen Mary and letter to pass on to President Wilson. She never heard back from the President. Certainly CX's relations after MF left weren't that good. Whereas her British nephew and nieces extended her an allowance and helped her budget so she could begin to live life for the first time being responsible for her own finances, even helping her to find a Danish steward, I don't think her Danish nephew did the same. He allowed her to live in the one palace but there was a constant battle over costs, leading to the famous story of him trying to get her to turn down her lights and MF issuing an order that every light in the palace be turned out. It was rumored that part of the reason the jewel box was taken (with Xenia's permission) to England was the feeling that CX would want repayment for his years of putting MF up. I forget if this was addressed in Lost Fortune of the Tsars, it was in Coryne Hall's bio on MF and, I think, the recent one on Xenia. Post-WW2, it was the Danish government which basically forced Olga to leave the country (and her much-loved farm) for political reasons, chiefly fear of angering the Soviets, and emigrate to Canada. I don't know what the Danish royal family thought of this. Xenia remained in England until her death. Yes, the Royal family did what they could to help Maria Feodorovna, but also Nicholas II and his family and the Mikhailovich's (as you can see from the telegram), both thru official ways (danish government) and also unofficially. 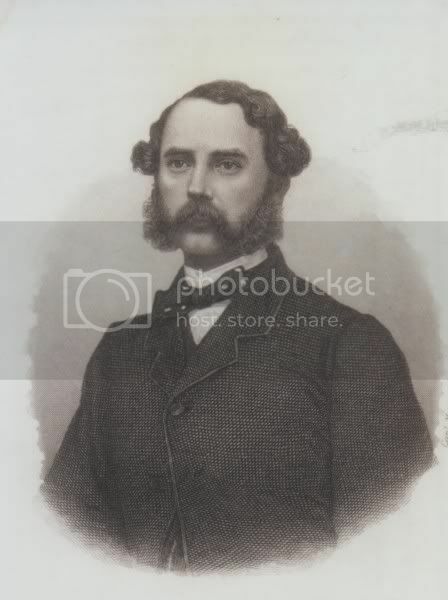 GD Mikhail son, Count Brasov was sendt to Denmark during the revolution, and stayed there until he could be united with his mother in London. After Christian IX's death in 1906, the three sisters got one of the Amalienborg mansions to have as their Danish home, so it wasn't actually Christian X who gave MF permission to stay at Amalienborg. The story of GD Olga is quite sad. During the war she had hidden several Russians who had joined the Nazis against Russia (thinking that they could get rid of the communist dictatorship) in her home. Because of that, the Danish government thought it best that she left the country, before the Soviet Union would demand her arrested or delivered to them.